Just about everything you could possibly want is included in our Basic , Digital and iTV Service package - sports, movies, learning, cartoons, the works.  TSC's channel lineup has something for everyone! We offer a wide variety of programming including crisp, precise digital quality! Just look at our channel lineup and you'll see for yourself! Middle Point customers, please click here for your lineup! This page requires the use of the Adobe Reader™ for viewing PDF files. QAM channels only available with Expanded Basic packages and higher. Watch TV Everywhere (WTVE) channels available with subscription to associated package.